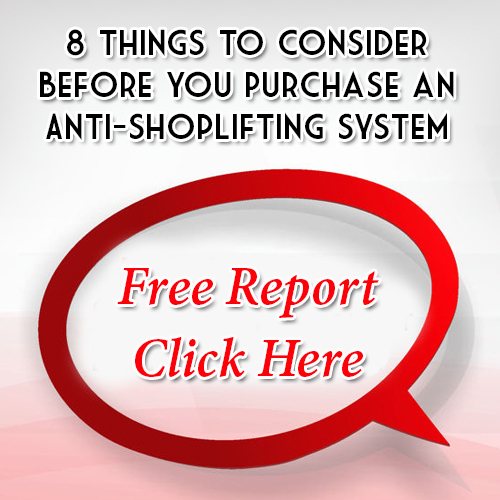 Alpha CableLoks are a well-established solution for many retailers’ shoplifting prevention needs. Alpha High Theft Solutions is the pioneer in this area. These commercial grade devices are designed to stand up to the rigors of retail life and to the shoplifter. CableLoks come in 2 and 3 Alarm versions. They are completely reusable with an excellent battery life. The cable is a coated aircraft cable. The toughness of the cable repels the shoplifter’s attempts to cut it. But if they should succeed, a 95db alarm built into the CableLok sounds off. The coating protects the finish on your merchandise. CableLoks in the 6 inch cable length are ideal for luxury hand bags, power tools, high fashion apparel, belts, gloves and much more. CableLoks in the 48 and 72 inch cable length are perfect for coats, dresses, furs, women’s and men’s suits. Alpha also features an Adjustable CableLok in 1, 2 and 3 Alarm versions. The Adjustable version comes in 6 and 18 inch cables. This allows you to protect a wide variety of goods including copper tubing, grills, lawn mowers, power and hand tools, sporting equipment, briefcases, display merchandise and clamshell merchandise, just to name a few. Want even more? The 2 Alarm Adjustable CableLok with SENSOR solves a combination of problems. The 2 Alarm Adjustable CableLok utilizes proven CableLok technology and incorporates a sensor switch with a strong locking clutch. It will alarm, if the cable is cut or if the sensor is tampered with. Loss Prevention Systems carries the entire line of Alpha Solutions including all models of CableLoks.